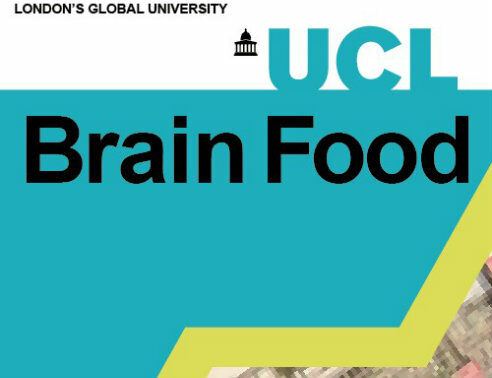 UCL's CAM Events team are now welcoming submissions from all UCL departments for their public events to be featured in the Spring edition of Brain Food, UCL's public events leaflet. The Brain Food leaflet is distributed to bookshops, libraries, museums and galleries across London as well as to a mailing list of alumni and members of the public. The deadline for the Spring 2019 edition is 5pm, Friday 23rd November 2018 and this edition will include public events taking place between January - April 2019. Please request a submission by posting your event via the UCL Public Events Calendar and then please be sure to email events@ucl.ac.uk to indicate you would like the event to be considered for a listing in Brain Food. We look forward to receiving your event submissions.